For Life. I had a few classmates at Primary and Secondary School who are now part of history, only remembered by what they did when they were here. You probably had a few friends who are now dead too. Truth is - you and I had (and continue to have) no control over the reasons for our continued existence. Supposedly healthy people drop dead "all the time"; unwitting drivers minding their own business and staying in their own lanes get rammed by drunks; Medical personnel entrusted with managing our physical and mental health sometimes make fatal mistakes... In the lyrics of one of my favorite songs, "I am here today, because God kept me". 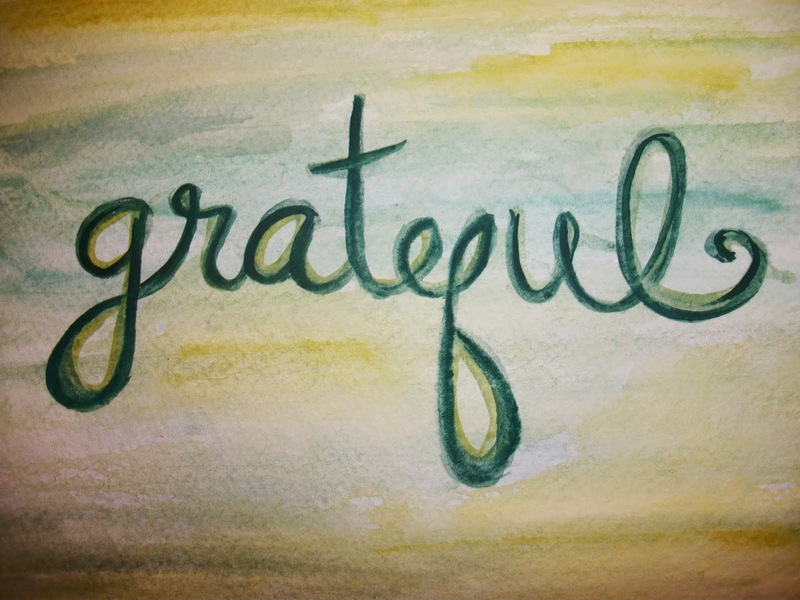 And I am grateful. You probably should be too. For Love. My family (comprising two siblings and both parents) is an awesome one. All you need is two of us in the same room or on the phone - and there's seldom a dull moment. I am blessed with an inspiring, fun, and absolutely fab boo. I have fantastic friends: junior, peers, and seniors; some of whom have called me "brother" since I was four, and others who have known me for under a year. And very importantly, I am privileged to have challenging role-models, mentors, and some who combine both roles. No man is an island, and I am grateful for all those who understand my past, believe in my future, and accept me just the way I am. For Learning. I mentioned role-models, mentors, and role-models/mentors already. They get a double mention - because they are that important. In fact, everyone who comes in under the "Love" category gets another mention here. I'm grateful that I can read, that I have books to read; I am grateful that I can watch and understand TED Videos and Coursera courses, and that I have the requisite resources. Teaching during NYSC helped me realize that not all 14-year olds' can read and write fluently (in English or their local dialects) - and I'm grateful for all my teachers too - past and present. 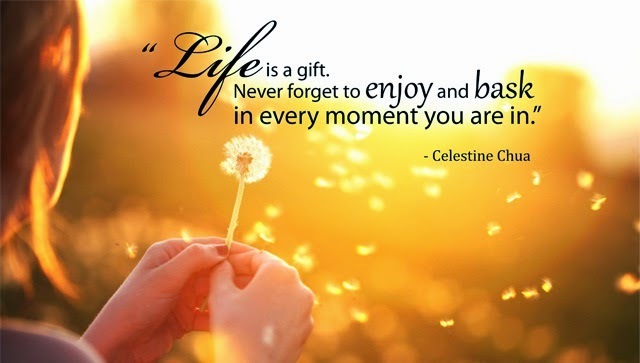 In closing, I'm grateful that I awakened this morning full of plans for the future, with the gift of yet another 24 hours to live, love, and learn. You probably should be too. PS: This one is for you, E. Thank you! 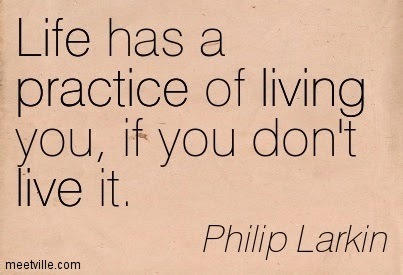 Early in Ife, I came across this quote by Phillip Larkin. These words have repeatedly proved true in my observations and experiences since then. Many of us put off living our dreams until "the future". We would really like to start an orphanage - but we don't have the money now, so we wait. ‎We would really like to institute a scholarship fund for students from poor families, but we can't afford it now, so we wait. We would really like to have a TV program to connect with young undergraduates in Nigerian Universities, but we don't have the time now, so we wait. And while we wait, life lives us. Our jobs and careers sap all the energy out of our bones. We rejoice when we find a few extra minutes to spend with the kids on a Friday evening. We always look forward to the next public holiday. As we wait, time steals by. Just like it happened in University, we wake up one morning and we're 40. And then we start to wonder where all the time went. We wait, all too many times - for the future, when even tomorrow is not guaranteed. Start where you are. There's never a perfect time in "the future". Start by sponsoring one already-existing orphanage. Start by identifying one less-privileged child in Primary School and footing her bills through Primary Six. Start by creating a Youtube channel and populating it on weekends. Flash Fiction: What If The Devil Repented? ‎It was an intense service. The short and stocky p‎reacher, sporting his trademark pot-belly and multi-colored tie, had led the church in vibrant prayers for upwards of an hour. Demons had been bound and re-bound multiple times, enemies had been thoroughly burnt by fire for the third time that month, and witches of the flying variety had been struck off their brooms by lightning. I sat in the far corner of the church, nursing a headache from all the noise and trying hard to make myself inconspicuous. My dark shirt and stone-washed jeans blended smoothly into the shadows, and I glanced down at my wristwatch at intervals - waiting for the stroke of nine when this service, nay punishment, would end. Then I would get my chance to walk Ibidun home. My Ibidun. Maybe she would even let me hold her hands this time. The choir struck up a fast paced song and worshippers started to dance in sharp and isolated motions that reminded me of an Irish jig. The preacher wrapped the microphone cord around his fore-arm as he exhorted the church to clap their hands and stamp the ground as if it were the devil. The racket went up from all around the building as the poor ground, nay devil, took a beating. And then something happened. The whole auditorium was suddenly plunged into darkness. A few members of the choir sang on for a few notes, then stopped after realizing the sound system had been disabled. Likewise the drummer. Likewise the preacher. The silence was eerie, and I stood to my feet, startled, as I contemplated what could be responsible for the power outage. A quick glance towards the Choir seats reassured me Ibidun was still standing there. I could not make out her face across the distance, but take away the Sun and I would still know that physique in pitch darkness. And then a young child spoke, his voice carrying across the vast expanse of the auditorium and echoing in the ‎corners. "Daddy. I have a question." He paused, maybe to gather his wits and summon more courage - and then continued. "What would happen if the ‎devil chose to repent tonight?" ‎The preacher must have been stunned, as he gave no response for a few seconds that seemed like an eternity in the darkened, silenced church auditorium. We probably all know optimistic people. 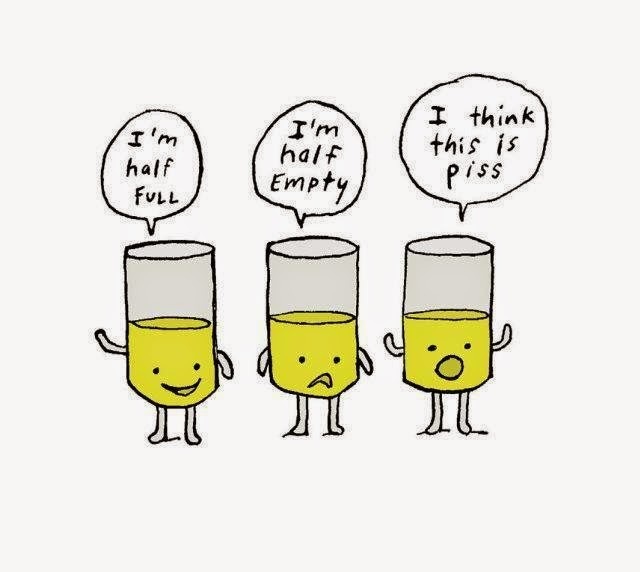 The ones that think the glass is half-full. The ones that have a hundred and one suggestions to make things work. The ones that are always energetic, happy, and full of life. We also all know sourpusses. Never content to think the glass is half-empty, they are on a mission to convince you of its emptiness. They see a million and one reasons why things will not work. They fixate on misfortune and unhappiness, and seek to drown you in the doldrums of despair. What we all might not know is how much paradigms can affect our life results. I first read The Magic Story as an undergraduate at the Obafemi Awolowo University in 2006. I loved its quaintness and simplicity – but disagreed with its basic premise at the time. The short story is excellently written, and in sixteen pages manages to deliver a compelling argument for positive paradigms – in a totally readable form. In the build-up to its core, a broke journalist repeatedly encounters a series of people whose lives have been transformed by a story – causing him to resolve to read the story for himself. In the core of the story – an aged successful man tells of his struggles in life and the misfortunes that befell him, and of the epiphany that set him on the path to success. A lot has changed in the eight years since I first read the story. I have succeeded and failed at a number of pursuits; and I have experienced first-hand the possible difference in outcomes based on my prevailing paradigms in different contexts. Now I completely agree with Stephen Covey that the very first step to personal effectiveness is to embrace a paradigm of proactivity: of seizing the initiative, of consciously choosing how we will respond to stimuli day-in, day-out. I strongly recommend “The Magic Story” by Frederick Van Rensselaer Dey. Go here to download it (no strings attached). I love Spain. 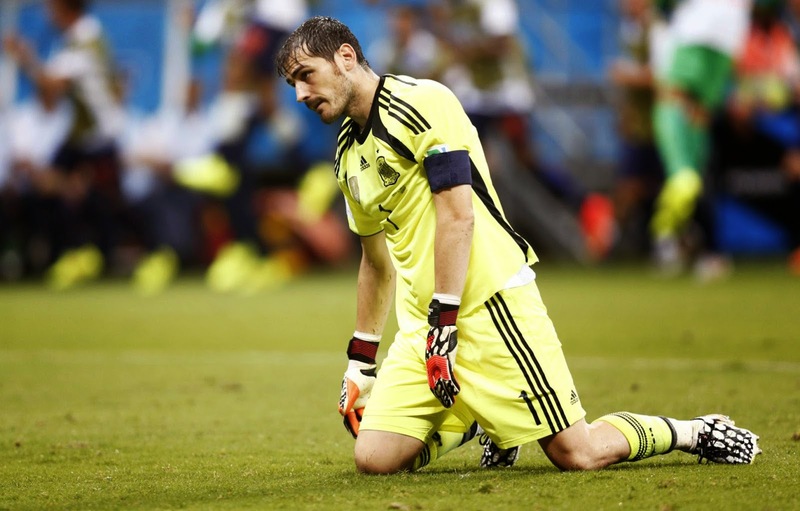 Iker Casillas is the major reason why I started to follow club football - of course, Real Madrid C.F.. Even now that it's clear Casillas is past his prime, I still love him - and out of respect for him, I will remain a Real Madrid fan for a long time to come. Hence, you can imagine the hurt I felt when Netherlands thumped Spain 5-1. While it was clear Netherlands was the better team, it didn't take anything off how I felt. If you don't get that, try and imagine how you'd feel if Mike Tyson was standing over your close friend in a boxing ring. This morning, I am very happy. Although it was close, I am happy Argentina edged Netherlands out via penalties... Now I think it was a good thing for Spain to be humiliated, so it becomes clearer how much the old crop has aged and how much needs to be done to remain relevant in the new era. Netherlands on the other hand, can eat the bronze medals for all I care (if they get those). 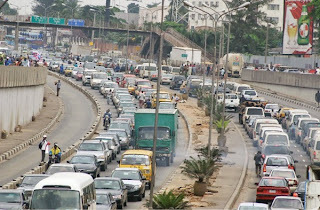 ‎Public transport in Lagos (and indeed many parts of South West Nigeria) is a big mess. So much so that every middle-class young adult wants to buy a car. Add that to our societal obsession with "big-ness", State and Local governments that tar the insides of their pockets rather than roads, and our rapidly growing population - and you're going to end up with a transportation crisis in the near future. The likes of which we've never seen before. In Lagos (and in other states), the roads need to work. Contractors like the CCECC should not be allowed to spend multiple years making critical roads like the Ikorodu road. Old roads should be proactively expanded and new ones constructed. The widely available means of public transportation (buses, taxis and trains) need to be relentlessly upgraded. Thankfully because I can afford not to, there's absolutely NO WAY under the sun I'm going to dress up for work and get into a danfo. Not even on one of my jeans days.‎ I lost so many jean-trousers to buses in Lagos that I basically decided one day a few weeks ago - never again. BRT buses need to be well maintained and kept clean. Young professionals need to be able to get in a Bus fully dressed for work, and not fear that they will end up with any one of a thousand possible stains. More unconventional methods, like water transportation, need to be regulated for safety - and made more widely accessible. Train stations with huge car parks (ala drive your car to the station, take the train to/fro work, and drive back home) need to link up the entire Lagos mainland. ‎Roads need to be made safe for cyclists. Every time I see Michael Ross cycle to work in Suits, I wish I could do something similar in Lagos. But no way mehn - except I want to end up in Igbobi. One drive through Lagos, and you will see that the magnitude of work needing to be done to revamp public transportation in Lagos is overwhelming. Let's not even talk about what we will do with our dear "agberos". But the alternative is much worse. At this rate, in only a few years - it will be nearly impossible to get anywhere on time in Lagos.